How Richard Paul Pavlick almost killed John F. Kennedy. December 11th, 1960 was a warm day in Palm Beach, Florida. The pleasant weather offered a welcome relief to tourists from cooler climates. The city was a safe haven for stars, politicians, and snowbirds seeking refuge from the harsh reality of winter on the northeastern seaboard of the United States. Early that morning, as many families prepared to head to church, a 73-year-old man drove his car slowly, enjoying what old age and his knowledge of the future convinced him were likely his last hours. He pulled his 1950 Buick to a stop in front of 1095 N. Ocean Boulevard in Palm Beach, and waited. A little more than 40 years before, he’d fought in World War I. For years after, he lived alone in a small town in New Hampshire, Belmont. His life was good, albeit unremarkable. Today, he thought, I will die. His hand clasped the switch at his side, and he took one long breath, recognizing the importance of what he was about to do. I left a note. When they read it, they’ll understand. The door to the house in front of him opened. The man who would be President walked out, followed by his wife and two young children. One was still an infant. And in that moment, Richard Paul Pavlick knew that despite his plans, he would not die on December 11th, 1960. 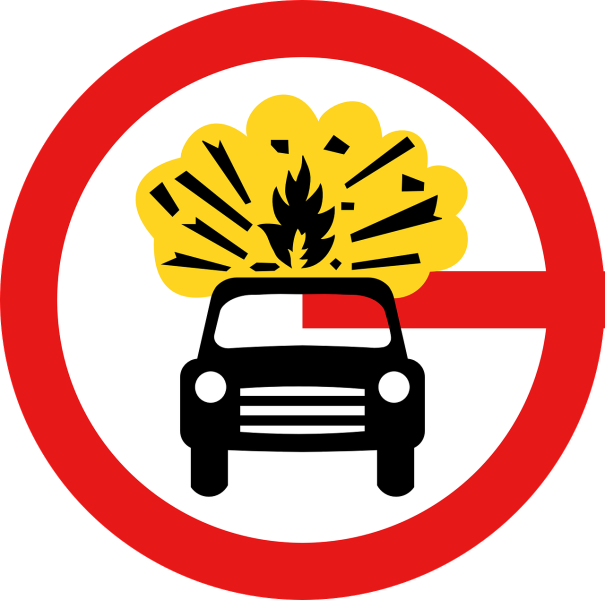 The sticks of dynamite he had so carefully placed in his car would not detonate on impact with the young man’s car as he had hoped. 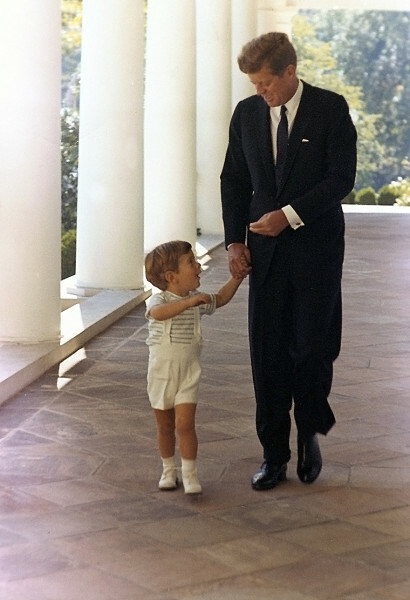 John F. Kennedy and JFK, Jr. share a moment that Pavlick almost prevented. He wouldn’t kill Jackie Kennedy or her children. They were not his targets. He needed to wait. To learn the young man’s habits here in Florida. Over the next few days, he visited Kennedy’s church and studied its interior. He looked over his notes about the home and the young politician’s security. He was ready. There was no turning back, but his actions hadn’t gone unnoticed. Before Pavlick took off in his Buick, he’d gained a little infamy in Belmont by waving his gun in the face of the supervisor of the water company. The public official came to Pavlick’s house with Police Sgt. Earl Sweeney to confront Pavlick about a water bill. Looking back, that incident might have been the first sign of the mental illness that would soon grip him. In just a few short months, Pavlick’s mental state deteriorated, he donated his home to a local youth camp and took off in his beat-up old Buick to chase Kennedy around the nation. Pavlick was an unusual character with outspoken views on Catholics and a dislike for people who ‘bought’ success. He hated the “underhanded” way Kennedy won the 1960 election against Nixon. As he traveled he wrote a few postcards to an acquaintance Thomas Murphy, the postmaster in Belmont, who became concerned. Murphy noticed that the postmarks on Pavlick’s cards had something in common. They were stamped along the route President-elect Kennedy was traveling, and on the same days as Kennedy’s visits. Of course, the fact that they followed Kennedy wasn’t the only thing that made the postcards suspicious. The young politician probably had more than a few avid fans. Pavlick’s postcards were a little frightening, however. The messages on the cards themselves were what worried Murphy. The mentally –ill retiree alluded to a disastrous event in the future and made promises that the locals would soon hear about him. You can see why Postmaster Murphy was concerned. Pavlick’s car was a rolling explosive. Murphy acted fast when he realized Pavlick was stalking Kennedy. He tipped off the local police, they called the Secret Service, found out that Pavlick had acquired “enough dynamite to blow up a small mountain”, and finally arrested Pavlick for his assassination attempt on President-elect John F. Kennedy on December 15th, 1960. Pavlick was an unusual suspect, decades older than most would-be assassins, but a danger nonetheless. At 73 years of age, he was sent to a mental institution. According to his own records, he sent more than 10,000 letters to Congress, the Supreme Court, and newspapers. He reportedly spent roughly $12,000 dollars trying to get out. Just six short years later, he was released. If you’d like to see inside the mind of a criminally insane would-be assassin, you can read some of his efforts here. Thomas Murphy received nothing but a lapel pin and a quiet honor from the U.S. government. After his release, Pavlick made sure Murphy’s deed wasn’t forgotten. He stalked the Murphy family. As for President Kennedy, his response to the entire scenario was nonchalant. The Kennedy family spent the holidays peacefully at their house in Palm Beach in 1960. The incident seemed to pass like any other day for John F. Kennedy, but one might hope that it made him live each day a little more fully. Three years after the old man’s plot, Lee Harvey Oswald succeeded where Richard Paul Pavlick had failed.